We serve the building, construction and renovation needs of the Lowcountry. The Team at Level Building Projects has a combined 30 years of construction experience that translate to a thorough understanding of building and renovating, from the first steps with an architect, through the final building inspections. We are general contractors who pride ourselves on keeping client relationships strong with our commitment to constant communication. Answering the phone and returning messages is a top priority. Many clients can be overwhelmed when researching and progressing through building and renovation projects. Level Building Projects guides clients through the many decisions, and demands good work from ourselves and our partners along the way so you can rest easy. The experience to lead you. Before starting Level Building Projects in 2009, John began work in the construction business operating heavy equipment with Morgan Corp, a grading company with projects spanning the entire southeast. After studying Environmental Science at Brevard College, John built his foundation in project management with Earth Structures, Inc., where he managed the building of large scale retaining walls for government funded highway projects across the state of South Carolina. John made his move into residential after joining Buxton Construction. John served as a Project Manager and Carpenter for new construction and renovations including large-scale and high-end residences. John and his wife Sarah live in Mt. Pleasant with their sons Waylon and Van, and daughter Della. Chanan joined Level Building Projects in 2012 and has over 10 years of experience in the construction industry, honing his skills in both hands on carpentry and project management. He began by gaining a construction management degree from Trident Technical College and then began working for Palmetto Craftsman, a historic restoration company in downtown Charleston, South Carolina. In 2008 Chanan moved to Vail, Colorado, where he spent more than a year tightening his carpentry skills before returning back to Charleston to plant his feet in the Lowcountry. Chanan and his wife Jennifer, along with their daughter Sully and son Banks reside in Mount Pleasant. Amanda is a native of South Carolina and graduate of the University of South Carolina. While her background has been in sales in the hospitality industry, accounting and finance was always a part of her position. In 2012, Amanda started working with John Frick and has been with Level Building Projects ever since. She resides in Mount Pleasant along with her husband Charlie and son Sam and loves to travel. We can build the custom, high-end home of your dreams. We'll even help you find the perfect architect. From the very start to the very last home inspection, we're with you the whole way. Make your existing home your dream home. 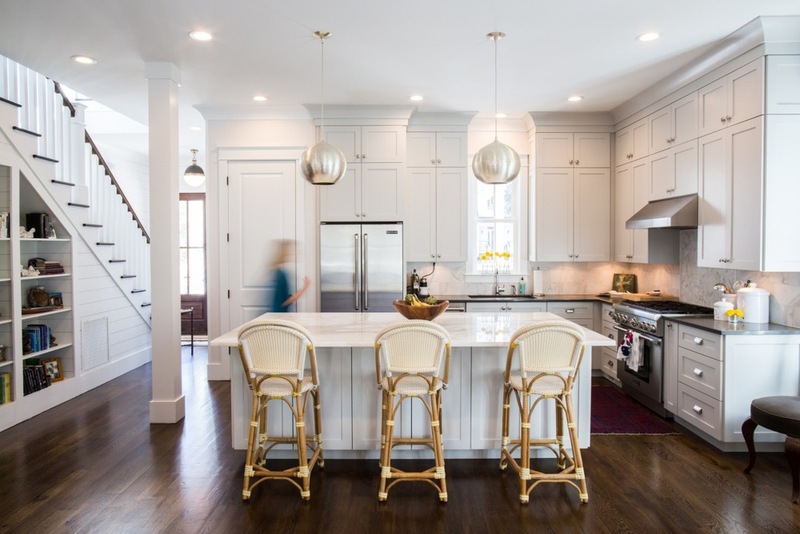 From an outdated kitchen or master bath renovation to a full blown home renovation/addition, our renovation and remodeling work is second to none . From restaurants to retail to fitness and educational upfits, our commercial work can be seen all over the Charleston area. ©2017 Level Building Projects, LLC. All rights reserved.